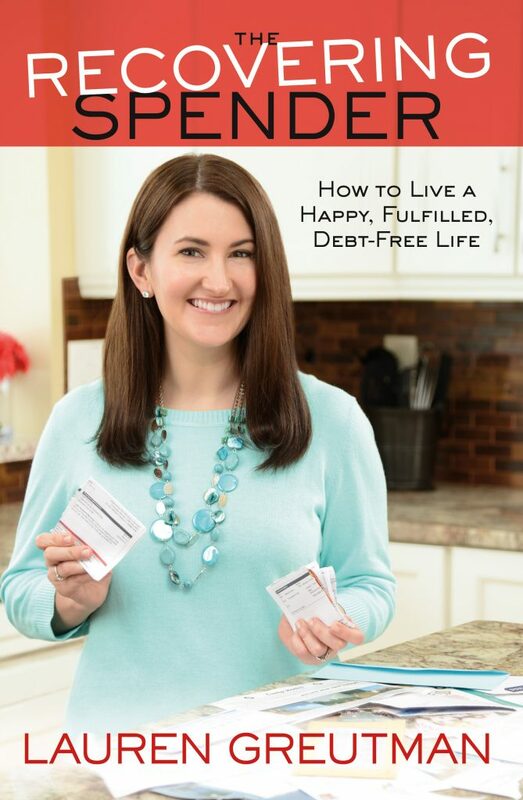 The Countdown to the release of my book The Recovering Spender is here! 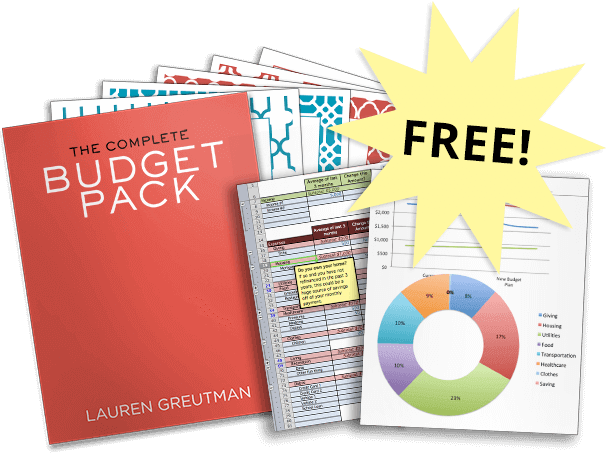 Pre-Order the book for a guaranteed copy on September 13th, and get $75 in freebies including a FREE Video Course. Money and relationships. They don't always mix so well, do they? 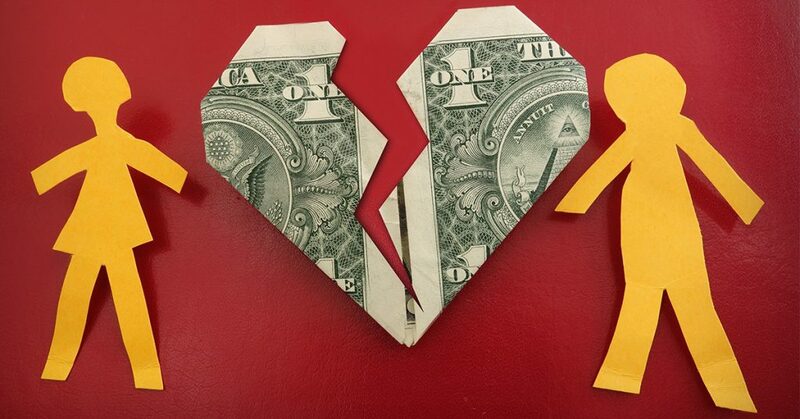 We all know that finances are the number one reason for divorce. This is not hard to understand why – your money and spending are a reflection of your values. If you don't see eye-to-eye with life and your future, then you're not gonna see eye-to-eye with money. With that in mind, if wrecking your relationships is your goal, then here are my top 5 ways to accomplish that. If you really want to maximize the amount of resentment you have towards your spouse, keeping track of debts can be a great tool to accomplish this. Maybe your school loans are only $12,000, but your spouse went to law school and has debts totaling $180,000. And they can't find a great job as an attorney. Make sure to hold this over their head. Remind your spouse often that the reason you can't get ahead financially is because of him/her. Or maybe you're the quiet type and would rather avoid confrontation. Don't let that stop you from letting the resentment quietly fester. It's only a matter of time before it comes out. For you married people – you share a house, a family, and a future. But one really great way to mess up that last one is to stop talking about money. Let's be honest, it's uncomfortable anyway, so just avoid it altogether. Short-term gain, long-term sacrifice, am I right? Secrecy is poison to any marriage, and your spending can be the PERFECT place for it. In addition to the secrecy aspect of it, hiding your spending gets you the added bonus of also getting a bunch of cool stuff along the way. Churning new credit cards is the key to being successful at this. If your spouse doesn't even know that the credit card exists, then how will he/she know that you spent the money? Of course you can't hide it forever, and your spouse might suspect something when your entire wardrobe is replaced with new clothes each season… but see how long you can keep it up before it causes the mother of all money fights. Maybe you are the breadwinner in your house, or maybe you're just better at managing money. Either way, you should be in control of the finances, and your spouse just doesn't need to know what's going on… because let's be honest, they're gonna screw it all up. This can be a great opportunity to make them feel less important and untrustworthy. But since your spouse does need some money, just give them an allowance. Maybe $100 a week or something. As for managing the bills and saving for future purchases, you should take care of that. You definitely don't want to confuse or overwhelm your less money-savvy partner. Or maybe you're on the opposite side of the finances – you recognize (or have been convinced) that you're just not good with money. If that's the case, you should definitely let your spouse take care of everything. Years down the road, this strategy is destined to devastate equality and trust in your relationship. 5. Ask to borrow small amounts of money from friends… all the time. Don't limit the amount of damage that money issues can cause to just marriages… friendships are fair game too. You know that one friend you have that always seems to not have cash on them? You're out to the movies and you gotta spot them. Or you are at a restaurant together with some friends – after ordering food and drinks, there's always that one friend who doesn't pull their weight when the bill comes. And they never pay you back. Look, this could be you. It will wreak havoc on your friendships to be that one person they can count on… to ask for money, and never pay it back. After a while, your friends will understand that they're essentially just giving it to you, and they won't even ask for it back. And eventually, they will save themselves some cash by not asking you to hang out with them. I hope you were able to read that in the way it was meant to be read… because the point of this post is that YOU SHOULDN'T do those 5 things. But they are so commonly practiced. And we rarely take the time to consider the cost it might be having on our relationships. Don't let this happen to you. Speaking honestly, I was guilty of numbers 2 and 3 (and a little bit of 4) for many years. And it was NOT good for my marriage. I remember very vividly the last time I hid purchases from Mark. I had come home from the mall with a few bags of clothes, but Mark was unexpectedly home when I pulled in the driveway. So I threw the clothes in the truck. The guilty feeling I had was unbearable… and coming clean was the hardest and best thing I ever did. 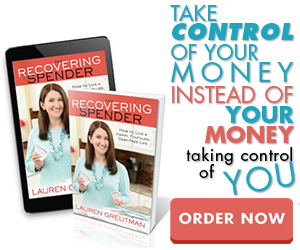 If you struggle with any of the above items, I know that The Recovering Spender will speak right to your heart. It will encourage and show you that you really can change. Your relationships are way more important than money. So don't let money ruin them.